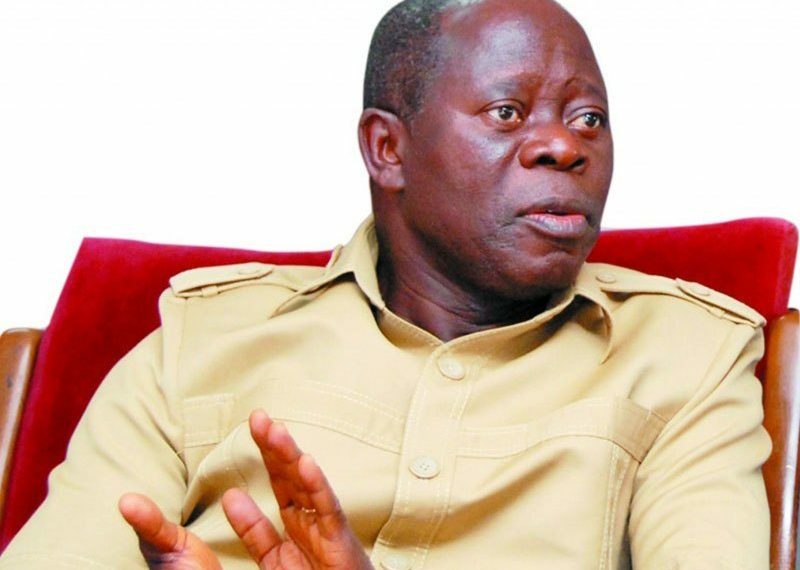 The National Chairman of the All Progressives Congress (APC), Comrade Adams Oshiomhole, has reminded the United Kingdom, the United States, and the European Union, that Nigeria is no longer a colony hence it can handle its internal affairs. Oshiomhole while responding to questions regarding the advice United States, United Kingdom, and European Union Election Observer Mission countries gave the Federal government following President Muhammadu Buhariâ€™s suspension of the Chief Justice of Nigeria (CJN), Justice Walter Onnoghen, said such interference was not acceptable. He spoke to State House correspondents after Monday night meeting President Buhari held with all Senators who are members of the APC, at the Banquet Hall of the Presidential Villa, Abuja. Buhari said he relied on an order of the Code of Conduct Tribunal, an auxiliary judicial panel that addresses assets filings of public officials, to suspend Onnoghen from office and appoint a replacement. The APC national chairman said: â€œThe thing is that Nigeria is not a colony. I think we all have to be careful. We must defend the sovereignty of our country. We welcome collaboration, we welcome peer review, we can compare notes, we welcome people who are interested in sharing experiences with us whenever the need arises, whether itâ€™s capacity building, making useful suggestions on how we can continue to improve on our electoral process. â€œThose are very valuable contributions that we appreciate. But Nigeria is not a colony. We will not accept any foreign interference in the internal affairs of Nigeria. â€œWhen they dismiss judges in Europeâ€¦judges have been dismissed in the United States when they were found guilty of corruption; the Western world cannot on the one hand when it suits them, describe Nigeria as fantastically corrupt and when a corrupt judicial officer is being charged, people want to interfere. â€œWhat anybody can insist on is, is anybody being framed? Is the suspended CJN guilty of the allegations made against him? Or is it something being cooked up from nowhere? â€œNow, if a Chief Justice of the Federation admits that he has breached the law, if a Chief Justice of the Federation admits that he has several foreign domiciliary accounts, even though he also admits that by nature of his office, he is not s trader, what is he doing with accounts in British pounds, US dollars and in Euros and to the extent of forgetting that he has those accounts? â€œIf he has such memory failure about the size of his number of accounts as to fail to declare them, you and I know that not even ignorance is an excuse in law. So, where are we being hypocritical? â€œAnd at a certain level of responsibility, itâ€™s not even about legal technicalities. Itâ€™s about the moral weight, the moral burden you carry. â€œSo, nobody should make us feel as though we are at the mercy of any other country. â€œThe future of Nigeria is in the hands of Nigerians and our laws are clear. Our laws are meant to be obeyed. â€œIf Nigerians think that anybody other than the president and the vice president or a governor and deputy governor have immunity, it should have been so written into the constitution. â€œI donâ€™t understand what the noise is about. Some people say even if it is true, is this the proper timing? What is the best timing to prosecute a crime? Should we suspend criminal justice pending elections? â€œThen, some people say you know, because of the very unique role or rather, very delicate role the judiciary has to play in settling elections issues, that is the more reason that people are worried about the timing. The Secretary to the Government of Federation, Boss Mustapha, senatorial candidates of the APC, serving senators were led to the meeting by the Senate Leader, Ahmad Lawan. Speaking on why they met, Oshiomhole said: â€œBasically, the meeting was for the president to meet the caucus of the Senate and the APC senatorial candidates. â€œThe whole idea is for the president to have direct interaction with the senators and the senatorial candidates of the APC so that they will work hard and ensure that on the basis of one-man-one-vote, the outcome of the 2019 elections will be in our favour.